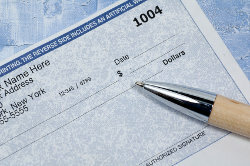 Payroll can become a frustrating and time consuming chore for small business owners. Between paying different kinds of workers, calculating withholding and preparation of 1099s, payroll can easily become a headache. At Lawson Accounting Group, LLC our payroll services are designed to take this burden off your hands. As a small business ourselves, we understand the value of personalized service and are more adept at providing reliable payroll solutions to local business owners than the national payroll companies. When you outsource your payroll needs to Lawson Accounting Group, LLC you won't have to be concerned about penalties or late notices anymore. You will have peace of mind knowing that a Jacksonville CPA firm is in charge of all your payroll responsibilities including federal and state tax deposits, unemployment forms and W-2s. Request a free consultation to discuss how our cost-effective payroll services can save you time, money and worries. Call us at 904-260-2904 to start using a friendly, dependable, payroll service in the Jacksonville area.